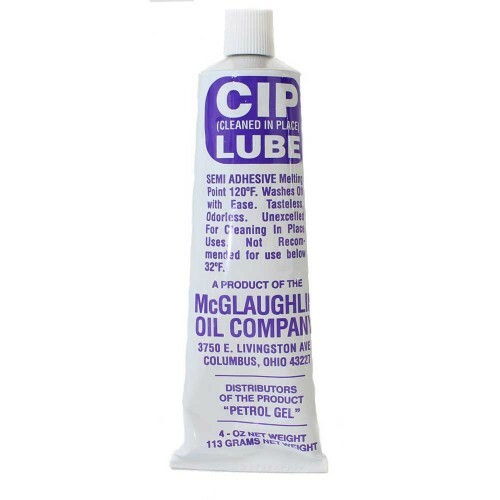 CIP Lube (Clean In Place) - 4 oz. Tube - Texas Brewing Inc.
CIP Lube is a sanitary lubricant used mostly in the Dairy and Food Industries. It was designed to be a lubricant for "Cleaned In Place" usage, which can be removed without disassembling the tubing, valves, gaskets, seals etc. CIP Lube can be cleaned with mild soap and extremely hot water, leaving the parts clean and sterile.